On July 31, 2014, 1650 Wealth Management was honored to be awarded the 2014 Alternative Investment Awards Independent Private Wealth Manager Florida award for our innovative work utilizing structured investments. The firms selected to receive this honor were shown to “focus on the most innovative forward thinking and client friendly businesses that have done incredible things to influence and improve the ways in which people invest”. To learn more about the award selection process, please read the Press Release. 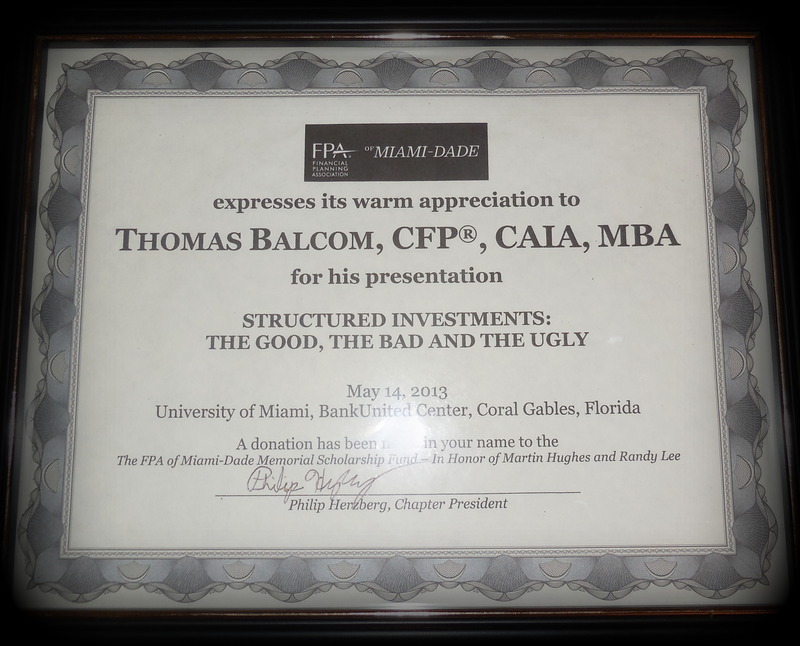 Tom Balcom, Founder of 1650 Wealth Management was awarded the 2008 LeadingEdge Award by the Structured Products Association. 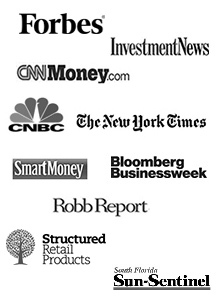 “The LeadingEdge awards are given to the top investment advisors, brokers and professionals in the Americas who have demonstrated superior results for clients in using investments known as “structured products” in managed portfolios. winners of the LeadingEdge awards are among the elite 5% of their profession whose expertise in this investment class has given them a clear competitive advantage.” To read the details on the award please see the SPA Press Release.